I heard a talk from someone at a large game studio, saying they interviewed the successful women in their company to see what they had in common, and there were some great insights there. But I also think you need to talk to the women who leave, and find out why. Audience, we'd also like to hear from you: Which companies are really making an effort to recruit women for STEM jobs? I teach high school computer science in Toronto and I encourage creativity in the classroom and try to avoid any gender bias. The reluctance to take CS starts before grade 9 however. Yes, @Melanie, I agree. Emphasizing traditional credentials is going to make the field less diverse. I actually landed in tech by accident. I was hired as an affiliate manager for a small start up - it was an entry level position and my natural proficiency in html coding got me the job. I was lucky to get mentored by manager, he nurtured my talent around understanding the economics of the internet and how to get the right message to the right person at the right time. This was in 1997. @cecily.carver Wow that's an insight that they are looking for women who are just like male candidates. In some cases that's true -- and may explain. Sometimes it may be where/how they are recruiting as I've had this conversation with three Toronto tech co's that they have had trouble finding female candidates. I found Lean In very inspiring and relatable (maybe it's not for everyone tough). Women need the support of each other AND their partners. Sheryl Sandberg talks a lot about this in her book. She says "the most important career choice you'll make is who you marry", which I found very interesting. I learned HTML and JS on my own, and then the career opportunity happened. I was curious about the web and how it worked. I was able to find information and learned how to start my own website. As I mentioned and still think today, the internet is the great equalizer. Women need to be made aware of this. - Transparency: Sharing what it takes to move forward, and also the benefits. and making the work environment comfortable. Look at Twitter Canada, and their hiring of CBC's Kirstine Stewart. That was a huge get for Twitter! Melanie, I agree, but independent learning is not for everyone. Especially with highly technical skills. Also, there's one from a conference: PyCon (big conference for the Python programmming language) had only 1% female speakers in 2011, but grew it to 33% this year. They did this with a lot of concerted outreach, and changing the way they evaluated talk proposals. @melanie - great point! I fully agree! "The internet is the great equalizer"
I have a friend who is a brain surgent; they bring in high school groups to brain surgeries to have a live experience. I think this is a good way to engage young people while exposing the experience no matter which field it is, arts, marketing, software development. Expose use of technology via live experience and relate to everyday life. I would be wary about groups that try really hard to get more female programmers. As I stated before, I want a job because I am hands down the most qualified. By higher someone because they are a girl, and maybe not the most qualified, companies can perpetuate the stereotype that females are not as strong programmers than men. I have been told by other students at my school that I probably got an internship at Twitter because they needed more girls. That was absolutely the worst feeling, so I work extra hard to prove that I deserve everything I have. A lot of the Ladies Learning Code learners come for the in-person, collaborative learning environment that you don't get with online learning. I think it's not about lowering standards, @Jen. It's about recognizing that more kinds of people have something to contribute to the tech field than the stereotypical nerdy guy who started when he was 7. What Google did with publishing their numbers was a good first step, acknowledging! If people were as up-in-arms about discrimination as they are about quotas, we wouldn't need quotas. Jen, women are often less likely to put their hand up for these opportunities. Conferences etc. need to do specific outreach to encourage women to attend as experts. Lets talk industry potential. Where do you see the most potential for women in STEM? Do any particular industries or employers stand out? I tend to agree with @Jen here. Gender shouldn't be the success factor in getting hired. However, educating tech companies with male dominated management to break through the stereotypes and make the work environment welcoming is also important. The way tech job postings are written seem to be intended to discourage as many people as possible! Until then, we do need quotas. More success stories: Just came back from Dell Women Entrepreneurs conf. Dell has 2 C-level women: Andi Karaboutis, CIO and Karen Quintos, CMO. Also Global head of Sales, Global head of Sales Ops, Global head of Sustainability = all women. Countless women execs. Dell has 8000 women globally in their Women In Search of Excellence, employee resource and development group. But a lack of diversity can be really harmful to a teams success. I would say IT, particularly cloud computing and services online/mobile/wearables is the biggest opportunity for all. 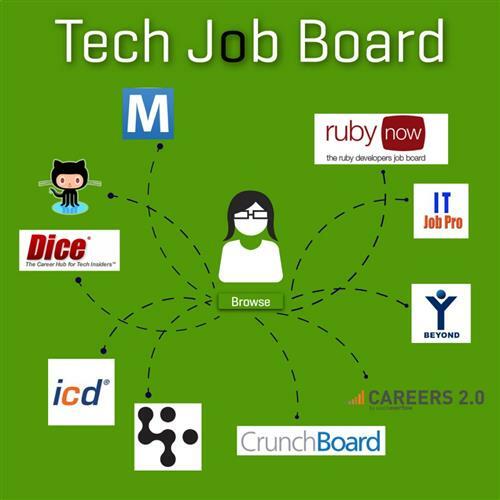 SmartRecruiters BlogFor the best and brightest of technology inclined candidates, you want to post your open tech jobs on these great job boards. 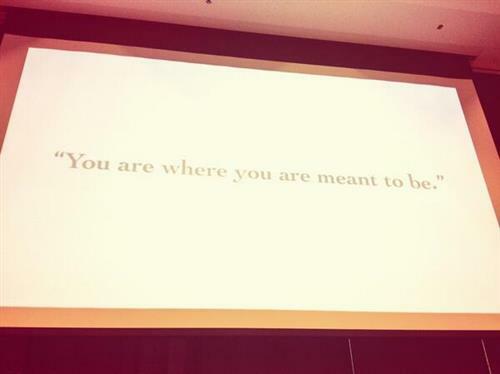 @Laura - you're so right! But why aren't there efforts to get more men involved in women dominated fields? Awareness is the first step to change. So very good on Google for doing this.